12th of May saw some much appreciated calm weather and lots of science activity aboard the RRS Discovery. 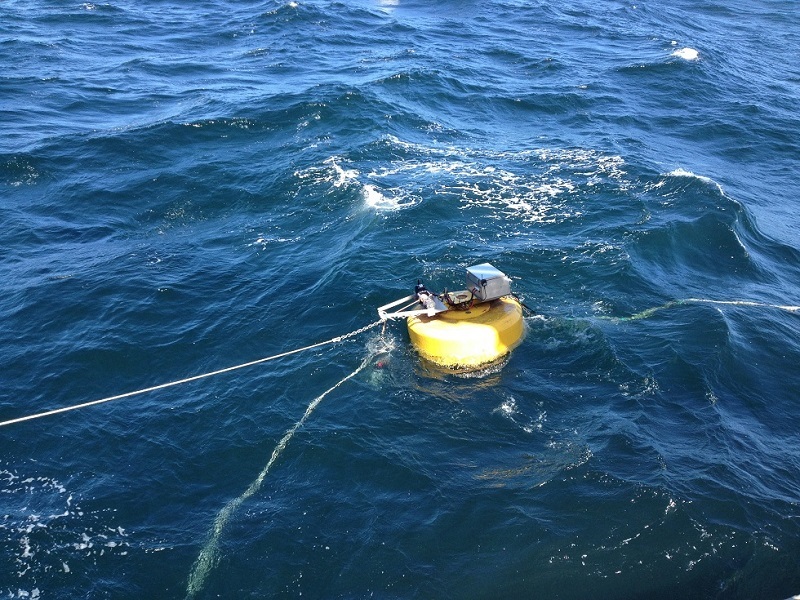 Lunchtime saw the deployment of the PML Buoy Profiler, which is a SSB PhD project (more of this in a latter blog from Rich Sims, PML). Sediment coring followed this, this is a key activity of any benthic cruise. 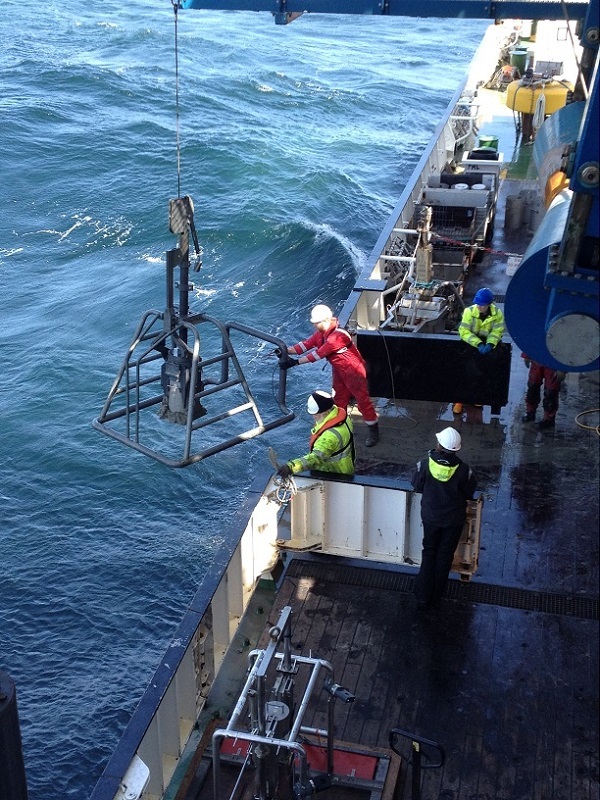 We are using a number of coring devices to collect sediment from the seabed beneath us, which is 100m down. On this research cruise we are using a NIOZ corer which is used to collect sediment (mud) from the ocean floor, a mega-corer (able to take up to 12 undisturbed samples in clear plastic tubes), and a large SMBA box corer which is designed to take a 600mm square, undisturbed sediment sample up to a maximum depth of around 450mm. 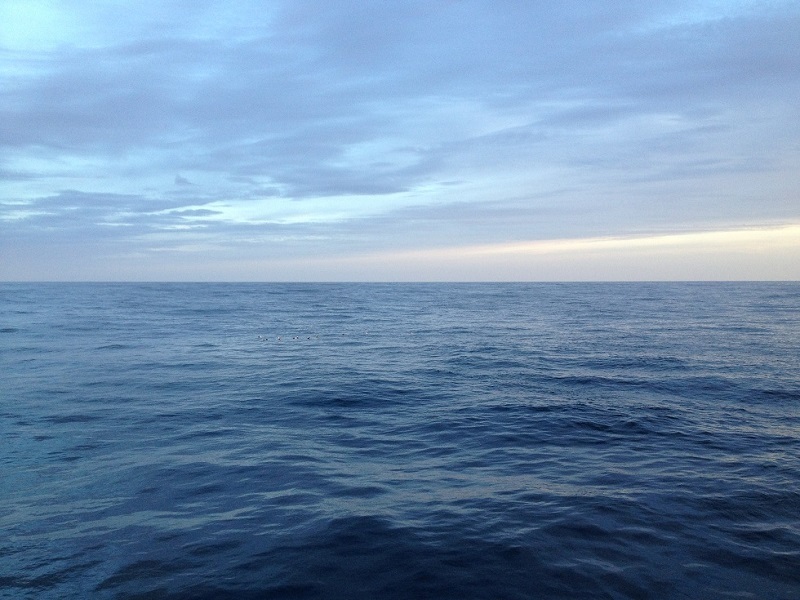 Wednesday 13th of May started with calm seas and a lovely sunrise. 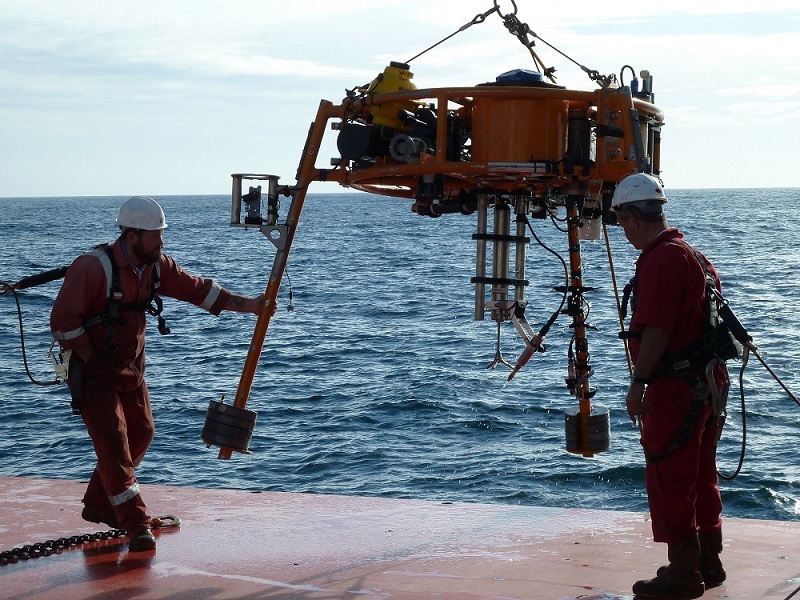 This was followed by a very successful recovery of the NOCL mini-stable lander that has been on the seabed the last few days gathering in-situ data (more of this in a latter blog) which will be used by the scientists to understand processes happening at the boundary between the sea bed and water column.